We want you to love your smile! August is coming to a close, and Labor day is just around the corner. For some, this means the end of summer. While fall hasn’t officially started, kids are back in school and it’s darker in the morning when we get to the office. Maybe you haven’t yet been in this year for a cleaning and checkup. We want you to maximize your dental insurance, so call us soon to get in. We are here on Fridays and can try to accommodate your schedule as best we can. Perhaps you have work you need to have done and the summer was just too crazy to come in. Now that you’re figuring out your school routines with your kids, you can hopefully find some time to make that appointment. If your kids are the ones who need to come in, call us! We work until 5:00 pm, so we can often get them in after school. Did you know we run some specials, both for our patients and those wanting to become patients? We offer free whitening for life to new patients. This includes custom bleach trays for you to take home and bleach with every checkup appointment as long as you’re our patient. We’ve had some people get great results from their bleach trays, even a couple of brides-to-be this summer! We also run a special for kids. If your children are non-insured, we can do their checkup and cleaning (with coupon) for just $99. This includes their cleaning, a comprehensive exam, fluoride treatment and any necessary x-rays. If you’re a new patient and not young enough to be considered a kid anymore, we can give you our new patient special. For $79, we’ll do a comprehensive exam, a panoramic x-ray and any bitewing x-rays the doctor needs. This is great for you to come in and determine what your dental needs are. This special does not include a cleaning. You can also ask us about our referral specials, available to current patients when they refer friends and family (some restrictions apply). Summer is winding down and we all know what time it is! You walk into any store and see backpacks, pencils and laptops on sale. That’s right, back to school time. We know you have so much to do to get ready, shopping for new clothes and crossing off those crazy supply lists. We’re going to add one more thing to your to-do list. 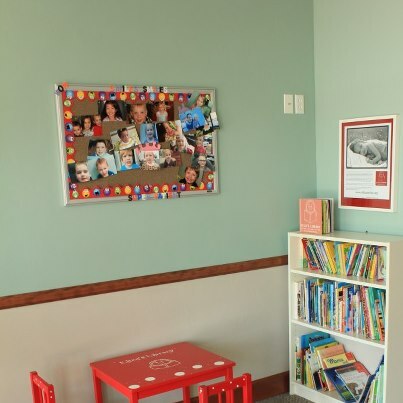 If your kids haven’t been in for their cleaning and checkup, it’s time. Call us to get them scheduled before school starts, along with the crazy schedules that come with it! Those of us in the dental industry know we’re not your favorite place to be. In fact, there’s probably lots of other things you want to do before you come in here. We not only know this, we understand and try to help with this. Many people fear or hate the dentist. We accept this and want you to know it’s OK. We don’t judge you for it. We would like the chance to sit down with you and talk about what your concerns are. We’ve had a number of patients tell us they were afraid of the dentist until they came to our office. We are extremely happy to hear this. We want you to come in, we want you to take care of your oral health, and we want you to be as relaxed as possible. We offer conscious sedation to help ease the anxiety that comes with dental work. We have relaxing neck wraps and blankets to make sure you’re more comfortable while we work. However worried you are, know there’s been a patient just like you in the chair before. Both Dr. Dorny and Dr. Sampson are patient and accommodating and they do their best to alleviate any fears. Call us or make an appointment to see how we can work with you. Have you been to our office? We are located at 2120 S 700 E in the Sugarhouse area of Salt Lake City, Utah. You’ve probably driven past our office without noticing! We are in the Dee’s plaza, conveniently right off the highway. 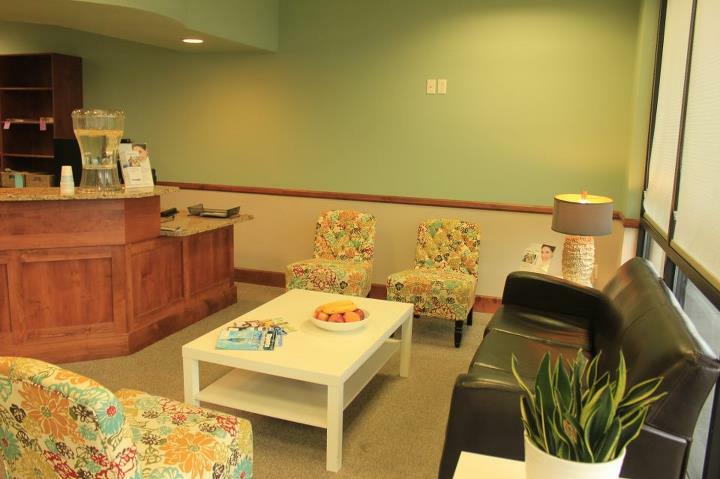 When you walk in, you’ll be greeted by smiling faces and a warm, comfortable patient lounge. Our lounge is always stocked with new magazines, refreshing water with lemon and fruit for you to grab while you wait or on your way out the door. We want you to feel comfortable! There’s even a little area for the kids!